Police have shut down a new observation post set up just last week on Har HaBayis. A report on Reshet Bet quoted Waqf officials as saying that the closure of the post, just a day after Prime Minister Binyamin Netanyahu met with Jordan’s King Abdullah II, was done at the request of the latter. The post was set up, according to the report, in the wake of concern over damage that was done to a large pile of earth that had been dug up at the beginning of the last decade, as the Waqf, the Muslim trust that essentially controls Har HaBayis, completed work on a mosque under Har HaBayis. The mound is believed to have a large amount of archaeological artifacts, and in 2004, it was set to be removed from Har HaBayis, in cooperation with police. However, a High Court petition by the Committee to Prevent the Destruction of Archaeological Finds on Har HaBayis resulted in a decision that the mound could only be removed in conjunction with archaeologists. The Waqf has refused to allow archaeologists access to the mound, and since then police have been preventing anyone from approaching the mound and compromising its contents. The Waqf in 2013 attempted to remove the mound with a bulldozer, but police prevented that attempt. 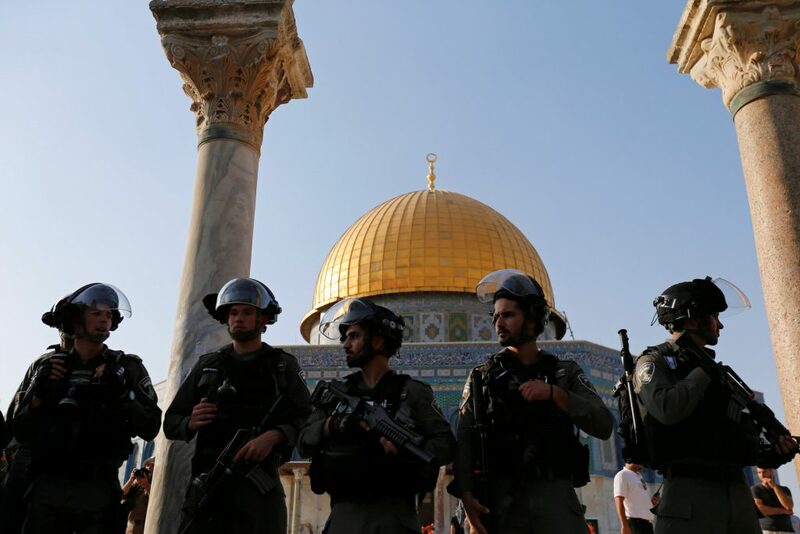 Last week, however, noticeable damage was done to the mound, as police and other Israelis were kept off Har HaBayis altogether, as Muslim celebrated the end of Ramadan. According to police, over 1,000 Muslims removed some of the mound, thus compromising its contents. The new police post was meant to allow police a better view of the mound, and thus allow them to better preserve its contents. According to the Committee, the work done last week will make it much more difficult for archaeologists to sift through the mound for important artifacts, and it is likely that important finds dating back to Bayis Sheni and even earlier were compromised or even destroyed.